Warning! You may get really hungry after reading this. Everything from Junior Mint brownies and Conecuh sausage corn dogs to beer samples and gourmet popcorn will be offered during the second Eat Drink Read Write Festival at the Birmingham Public Library, Sept. 8 -15. A cooking class, food documentary, children's crafts, poetry slam, writing workshops and more will be featured during the free festival, which will explore the glorious worlds of the written word and Alabama foods. Reservations are required for each event. Food will be provided by member restaurants of Birmingham Originals, MIX Bakery and Cafe, Whole Foods Market and Yellow Moon Cheese Co. Registered EDRW attendees will be eligible to enter a drawing for a pair of tickets to see renowned chef and author Anthony Bourdain - the bad boy of cuisine - on Nov. 1 at UAB's Alys Stephens Performing Arts Center. His show is called "Anthony Bourdain: Guts & Glory.'' You must attend an EDRW event in order to enter the drawing. A winner will be selected and notified. Hungry for more details? Check out the schedule. All events are FREE. Some events require reservations. 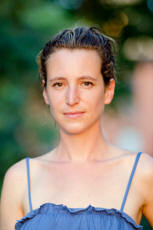 Birmingham storyteller Katie Elkins will perform stories related to food. The Desert Island Supply Co. will lead informal produce-themed writing workshops for children and adults, and BPL will offer food-related crafts. Participants will have five minutes to tell a true, personal story about food. No notes are allowed in this challenge, known as "Food Stories.'' Participants are ready to tell stories that will leave an audience laughing. This entertaining presentation is modeled after National Public Radio's "The Moth.'' Mafiaoza’s of Crestline Village will provide refreshments. Two free drinks (craft beer or wine) will be provided, courtesy of The J. Clyde. A cash bar will also be available. 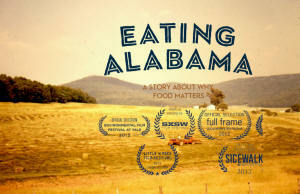 Tuscaloosa filmmaker Andrew Beck will share his "Eating Alabama: A Story About Why Food Matters'' and then lead a discussion about it. 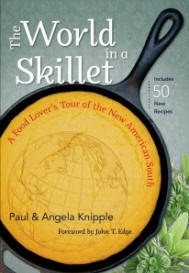 The documentary is about a young couple setting out to eat the way their grandparents did, locally and seasonally. However, they soon realized that nearly everything about today's food system has changed from the past. Little Savannah will make Conecuh sausage corn dogs and Alabama slaw; Satterfield’s will provide gourmet popcorn; Culinard Cafe will make Junior Mint brownies and M&M cookies; and Slice Pizza and Brew will make Conecuh sausage skewers with roasted Alabama peppers and onions served with a mustard jam. Two free drinks (craft beer or wine) will be provided, courtesy of The J. Clyde. A cash bar will also be available. The library's popular Bards & Brews monthly poetry performance and beer-tasting event will be packed with activities on this night. Chef Corey Hinkel of MIX Bakery an Cafe in downtown Birmingham and Yellow Moon Cheese Co. in Alexandria, Ala. will talk about beer, bread and his homemade cheeses. Beer and cheese pairings have been a growing trend through the years, and Hinkel’s tips will put you in the know. Also, Chef Chris Dupont of MIX Bakery and Cafe and Cafe Dupont will prepare appetizers, using ingredients donated by Whole Foods Market. There will also be a poetry slam and prizes to the top three winners. Avondale Brewing Co., Back Forty Beer Co., Bell's Brewery and Good People Brewing Co. will furnish the beer. The Reflections, a band made up of library employees, will perform. Attendees must be at least 18 to attend and 21 or older to be served. 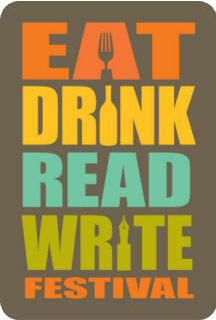 NOTE: Eat Drink Read Write T-shirts are $15 and can be found at the Friends Bookstore on the second floor of the Central Library, The J. Clyde, MIX Bakery and Cafe, Whole Foods Market, and at each EDRW event. Earth Creations of Bessemer made the T-shirts, which are colored with Alabama clay dyes. EDRW funding was made possible by Friends of the Birmingham Public Library. NOTE: Different library branches will offer EDRW storytimes and after-school events for children. Please check the calendar for dates, times and locations for the children-themed events.